Today’s Pick is Sparkly Glam for your Festivities! These Unique, Elegant Glitter Champagne Glasses would be the Perfect Decor or Tablescape for a Wedding, or add some glitz at the Holidays. Perfect for that Over the Top Birthday Party or Shower. They would be a great accent to any event. The Champagne Glass is covered with Gold Glitter and Sealed. 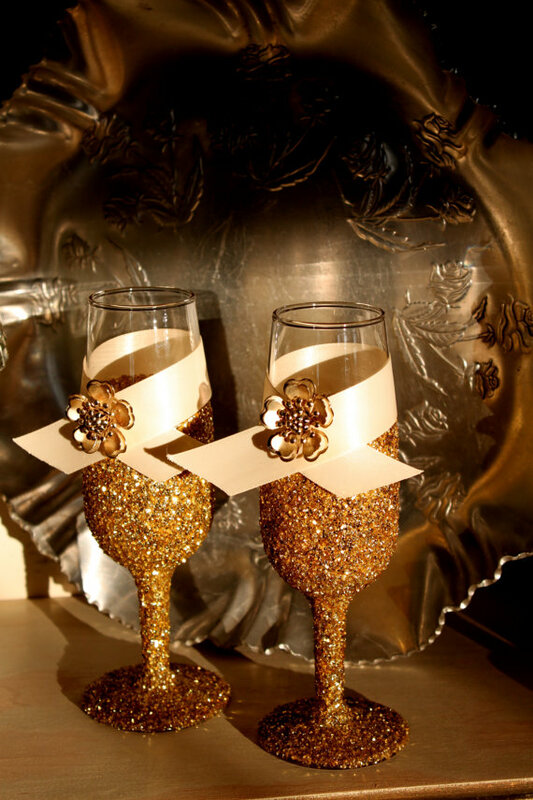 A beautiful Ivory Ribbon and Gold Flower Gem adorn this champagne Glass. The Glitter Wine Glass is 7″ Tall.